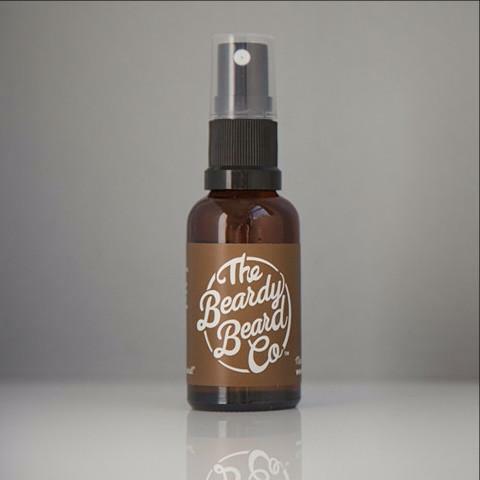 The Beardy Beard Co Black Pepper, Grapefruit & Mandarin Beard Oil, what a cracking beard oil! This is everything I could ask for from a beard oil, my beard feels lovely and soft, it is looking good and then the scent…………….WOW! Jojoba Seed, Sweet Almond, Grapeseed, Hemp Seed & Vitamin E oils are used in the base of the Black Pepper, Grapefruit & Mandarin Beard Oil and owner and creator Gail has gotten a lovely blend that as I said does exactly what you want for your beard. Of course these carrier oils will not only soften your beard but will also encourage healthy growth and therefore help to promote stronger hair growth and help to prevent split ends. It will also moisturise the skin under the beard and by keeping the skin in good condition, you will avoid things like itch, dry skin and even help to keep spots at bay. The scent, well I guess there is no need to tell you what essential oils were used in The Beardy Beard Co Black Pepper, Grapefruit & Mandarin Beard Oil! It really is a lovely blend, That sweet and citrus scents are followed by a warm and slightly spiced black pepper and it compliments the citrus so perfectly! I also do like Mandarin, I prefer it the standard Orange. The 30ml glass bottle of The Beardy Beard Co Black Pepper, Grapefruit & Mandarin Beard Oil costs £15 from the website and is also available as a 60ml balm for £15.95.